Canari Islands located in the northern Africa and southern European continent. In terms of geography, including land in Africa but in politics, including in the area to Europe because this island a part of the country from Spain. Quite unique, is not it? Two continents that integrates different cultures in one land. At the time, the island of Gomera and surrounding areas visited by many tourists from Europe. Do not be fooled because this place always provides the sun in the middle of winter. The tourists need not trouble to use a coat of thick and heavy but with enough clothes relaxed and comfortable clothing that can be minimal so that the skin may look pale no more. Before the capital of La Gomera San Sebastian, all beginning with a trip to the island Tenerifa, tourism's main island Canari. After arriving in Tenerifa, tourists usually take several days for a vacation on the island to continue this trip to other islands, is one of the island La Gomera. Early in the morning we come together and leave for the Los Cristianos with the Guagua, so call the local people to drive the minibus. From this port, we use the ferry to San Sebastian, the capital of La Gomera. From the name alone, we can already catch the effect of the history of Spanish influence in this area. Only some time alone, we have already reached the destination. The first destination to visit during the afternoon is to arrive Hermigua where we can drop in to a local handicraft workshop. When still a lot of time, we are usually invited to visit Nuestra Senora de Lourdes. After walking in this place, the day is terminated and then together go back to the hotel to get ready to enjoy a romantic dinner. If weather permits we can take the opportunity to swim at the beach in the surrounding area. Entering the lunch, we walk toward or Chipude Las Hayas to enjoy Gomeran Cuisine. After lunch, a lot of time to relax. Directed towards the next trip to see El Cercado ceramics workshop in this area. Once completed a visit to El Cercado, we then invited to Los Manantiales a village where the birds come around who want to emigrate to a more warm again. Nearby, we can also see the Guanche cave is now a tourism that must visit in La Gomera. Travel and driven back to Santiago with the guagua. Along the way, we can see from the near-life fishermen fishing in the coastal villages and Tuna canning industry, which is economic mainstay of this area. 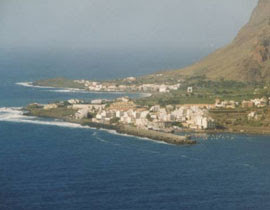 A goal that most of the main island of La Gomera is the National Park Garajonay. 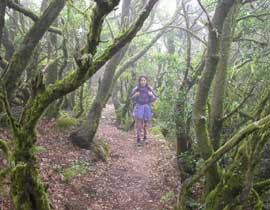 Here you can prove that the island of La Gomera is a paradise for those who are happy to walk penetrate forest and integrates with the wisdom of nature. In this national park you can visit the ICONA, where maintenance and replanting crops typical La Gomera. Penetrate Garajonay ago So we all walk in Roque Blanco. This place is also a place that often call on the birds who want to emigrate to Cuba or Venezuela. When done resting, traveling on to Valle Gran Rey. Valle Gran Rey, or valley of the kings most often called by the name "the Valle." We can see the sculpture on the cliffs of ancient cliffs-some of which later developed into villages unique. 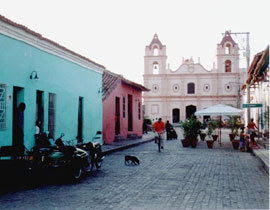 You can visit the villages such as La Playa, Vueltas, Calera is located on a very fertile delta. Most of the trees planted by a pledge of bananas and banana products from La Gomera. First place is the place to escape the hippies who came especially from Germany. Placed in a picturesque setting and offering wonderful lodging, the Laurisilva Apartments in an ideal place to spend a memorable stay at La Gomera Island. Location. 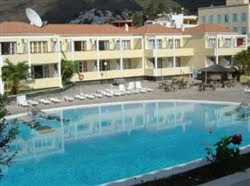 Located on La Gomera Island, Laurisilva Apartments is ideally placed in the tourist centre of Valle del Gran Rey. Rooms. The hotel offers bright rooms that are comfortably furnished and equipped to satisfy the most discerning travellers. Restaurant. You can dine on the delicious food served at the restaurant. General. The in-house tennis court is an ideal place to play an interesting game of tennis and you can also try snooker or table tennis during leisure. The swimming pool and the surrounding garden area is an ideal place to spend some time in relaxation. Access to the island is usually made by sea, as it offers a great view of the island on your approach, and it also has flexible timetables, withouth being necessary to make a previous reservation. All the available ships connect La Gomera with the seaport in Los Cristianos, south of Tenerife island. In case you intend to go directly to La Gomera, it is recommended to take a flight to Tenerife South Airport, only 15 minutes aways in taxi.